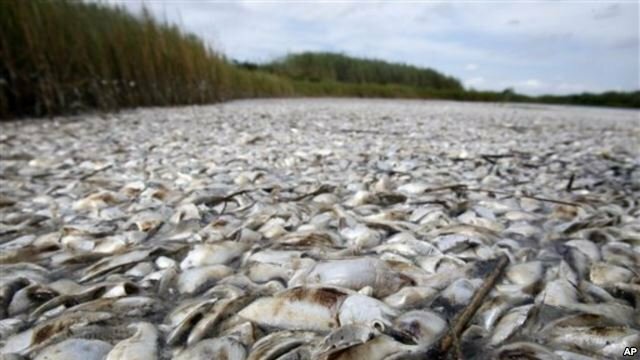 We have a situation… fertilizers used by big ag, human and farm factory waste, are behind the formation of “dead zones” in the oceans. In other words, nitrogen from fertilizers and sewage. Yet another case of criminal management, which could be resolved with keeping all the waste on the land instead of pouring it into nearby rivers that will end up in the oceans soon or later. We all know how poisonous all those chemical fertilzers are, so let’s get rid of them all as they contaminate our soils anyway… as for the waste from farm factories, the latter will have to be shut down as the livestock is kept on life support with antibiotics. Humans could start eating meat twice weekly so we have have a healthy lifvestock again (for the meat eaters)… problem solved. Well almost but we have to trust human creativity as how to handle the closure of farm factories and the welfare of the livestock.